We are looking for a number of volunteers to assist with our upcoming Casino Fundraiser March 6 and 7, 2019 at the Deerfoot Inn & Casino. Casino volunteering is a great chance to bond with fun puppet peeps! No experience is necessary as there is training provided and free food too! Your time is worth over $240 dollars per hour and the people and puppets are eternally grateful! Assisted by cash cage advisor. Busy during the opening, volunteer shift changes, and closing. Keeps track of fall cash/chip transfers. Strong mathematical skills are helpful. Cashes in chips for players and makes change. Challenging role requiring concentration and accuracy. This role is not recommended for colour blind volunteers. Good manual dexterity and mathematical skills are helpful. Courier for chip requests from casino games. Must be prepared to move around. Usually busy at opening and closing of casino. Be able to carry up to five lbs (two kgs) of chips. Works with count room advisor in recording cash counts. Administrative skills useful, good math skills are helpful. Not required to handle cash. Our casino fundraiser happens every 18 months and is our most important fundraising initiative! In 2017 volunteers raised $64,719 or about $240 for every hour they worked. 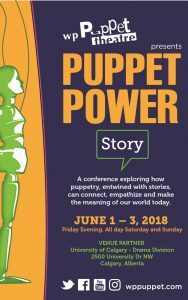 This fundraiser allows us to make programs such as our Puppet Power conference or our View from the Inside program affordable for participants. Please submit a statement of interest to Wendy Passmore-Godfrey at admin@wppuppet.com. 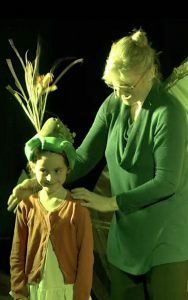 Previous PostPuppet Pop-Up at Market Collective Dec 7-9!Next PostPuppet Pop-Up: Year of the Pig!